The third film in the REC series has arrived, and with it arrive some changes. The first film inverted the paradigm of Night of the Living Dead, trapping survivors in a building with zombies. REC 2 turned the dials to 11, injecting a first-person shooter angle into the cinéma vérité mix and upping the adrenaline levels (think of REC as Alien and REC 2 as Aliens and you’ll have a good idea of what to expect.) Now REC 3: Genesis adds something else entirely unexpected: humor. Even weirder is that it works surprisingly well. (The rest of this review will contain the occasional spoiler for the first two films, so if you haven’t seen them and are spoiler averse, stop here). It’s impossible to properly review Quarantine without referencing REC, the Spanish film it remade (review here). In fact, it’s really not even fair to call it a remake — it’s barely more than a relanguaging. The plot is essentially identical: There’s a TV news crew filming a reality show about late-night workers. The on-air personality Angela and her cameraman are following a group of firefighters around. A call to help a woman trapped in her apartment turns into a harrowing ordeal when the woman turns out to be irrational and violent and the building is sealed from the outside by the authorities. Zombie mayhem ensues. The biggest change in the two films is the root cause of the outbreak. REC‘s cause is quasi-supernatural, while Quarantine goes with a purely natural form of super-rabies. The effect of this on the actual film is nil. Seriously, apart from a few lines of dialog and minor variation on one scene, there’s no real effect.Â Apart from that, Quarantine boasts a slightly padded cast (and consequently padded body count), a slightly padded intro (more on this in a moment) and a bonus kill where the camera man beats a zombie to death with the camera. 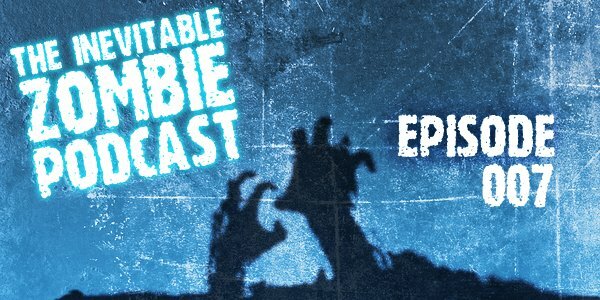 There are a handful of zombie movies that attempt to use a kind of cinéma vérité style. REC is easily the best of the lot. The film uses a TV news crew filming a reality show about late-night workers as its central storytelling device. The on-air personality Angela and her cameraman are following a group of firefighters around. 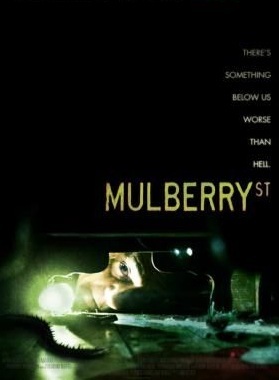 A call to help a woman trapped in her apartment turns into a harrowing ordeal when the woman turns out to be irrational and violent and the building is sealed from the outside by the authorities. 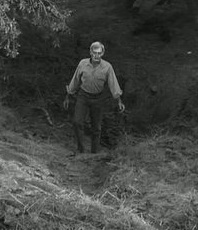 In many ways, REC plays out as an inversion of Night of the Living Dead. Both feature a small group of strangers trapped inside a building facing zombies. The difference is, in REC, the people are trapped in with the zombies, by hostile or uncaring authorities outside. This inside-out take on a classic situation serves to ratchet the tension up to excellent effect. Being trapped in a building by zombies is scary. Being trapped in a building with zombies is much, much scarier. George A. Romero is the undisputed master of the zombie genre. There’s simply no arguing that anyone else has ever — or likely will ever — come close to his contributions. So the release of a new Romero zombie film is always a big deal, even if his latest offerings have received mixed reactions from critics and fans alike. 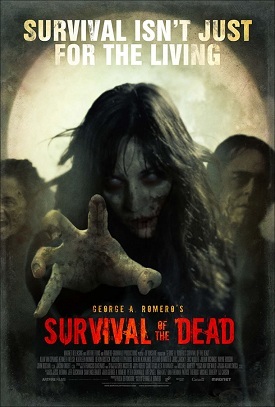 And if you were expecting Survival of the Dead to buck that trend, allow me to let you down now: this is not a return to the majesty of Dawn-era Romero. 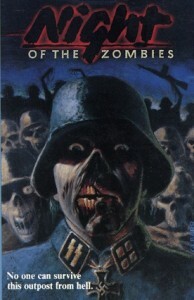 It fits firmly in with his post-2000 zombie offerings Land of the Dead and Diary of the Dead. That being said, I didn’t hate either Land or Diary. I came to appreciate Land after several viewings, and I really liked Diary from the beginning, although my enthusiasm waned to some degree after additional viewings. That said, I think neither of those films is as bad as their detractors claim. Both have merit and both are at least as good as 90 percent of the zombie films out there.